I am just now in the mood of finding some DIY fence ideas that I can put in my garden, I want it to be simple and cheap and not these fancy fences that you can buy in the garden center. And what better to find some cool ideas then check the internet…there is no end of ideas and I get so inspired! garden…have seen this kind of arrangement in a nearby city and it is terrific. To plant vertical is genius if you don’t have a lot of space! but I am sure you can use all kinds of climbing plants for this, even climbing roses would be lovely here! or you have some not so nice spots that you want to cover. I think this is a beautiful arrangement that instantly will create an eye catcher in your garden! 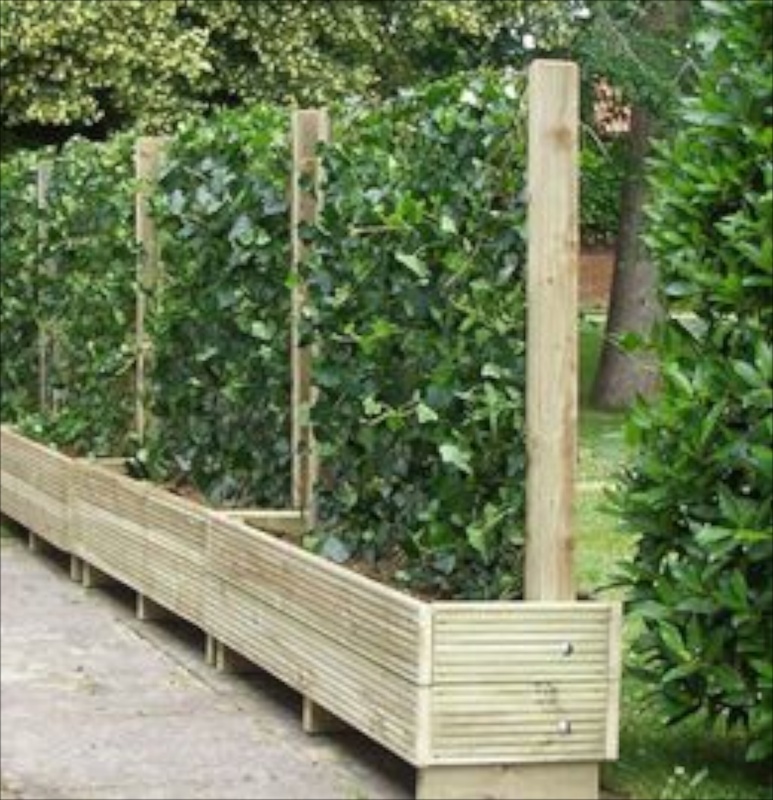 A living fence is a permanent hedge tight enough and tough enough to serve almost any of the functions of a manufactured fence. But there are other benefits with living fences that others can’t offer such as being habitat for insects, spiders, and other necessary living creatures. It can also provide animals with foods and more. I have not yet decided what I will use for my own project, but I am tempted to make a living fence. I have never tried that before so it would be fun to give it a try. We’ll see….